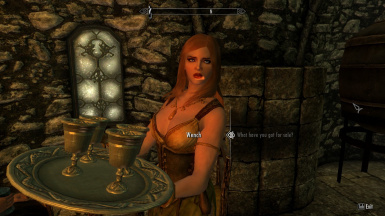 Adds wenches to every inn in skyrim to "serve and chat" with the patrons of an inn using custom scenes, also some quests, adds barmaids that work as servers/innkeepers and maid wenches with a bodyguard that travel around skyrim. They can be turned into followers (they have custom spells/perks/classes/AI) and can be spouses. Thanks to Kalilies Shocky and Stealthic Khaos for KS Hairdos. Thanks to SG hair by HelloSanta. Thanks to all the random people for posting solutions to different problems in random forums, I love you all but i cant remember you. Installing several mods that adds npcs make almost all cities and towns feel active. 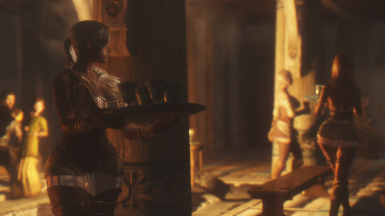 The main focus of this mod is to Adds wenches to every inn in skyrim to "serve and chat" with the patrons of an inn using custom scenes, adds barmaids that work as servers/innkeepers and maid wenches with a bodyguard that travel around skyrim. They can be turned into followers (they have custom spells/perks/classes/AI) and can be spouses. it also adds some vampires and other NPCs. There are a little more than 200 different appearance wenches templates available for variety. This mod does NOT add any custom bodies/clothes or replace vanilla ones, the bodies and the clothes of the wenches depend on your own mod. 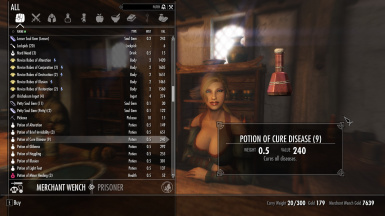 Adds at least 1 wench to every vanilla inn (except helgen) in skyrim using elderscrolls.wikia.com/wiki/Taverns as a guide. -Morning: They will walk around their city. -Afternoon: They will just prepare for work, visit a market or go somewhere else. -Night: They will start working, they will go to the inn/tavern and carry a plate with drinks and walk around the inn/tavern, at this time they will sell drinks and some food. -All wenches can be turned into followers, some are easier to convince than others, still any will agree to follow you if you pay them 1000 septims. -The number of wenches depends on the location (main cities more wenches, towns less) if you decide to increase the wenches they will be at least 2 wenches and 1 barmaid for all inns. 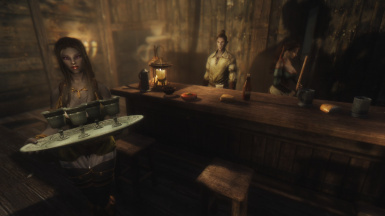 Adds at least 1 barmaid wench to every vanilla inn (except helgen) in skyrim using elderscrolls.wikia.com/wiki/Taverns as a guide. They will wear the barkeep outfit or its variant randomly at spawn. -They will walk around the inn,sweep the floor, or stay at the bar like other innkeepers. 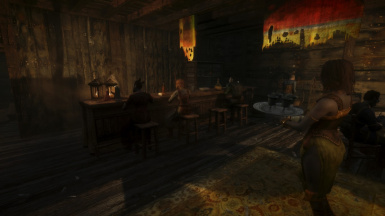 -They also work as servers so if you enter the inn and sit they will go to you like any other vanilla server. -You can also rent rooms from them. 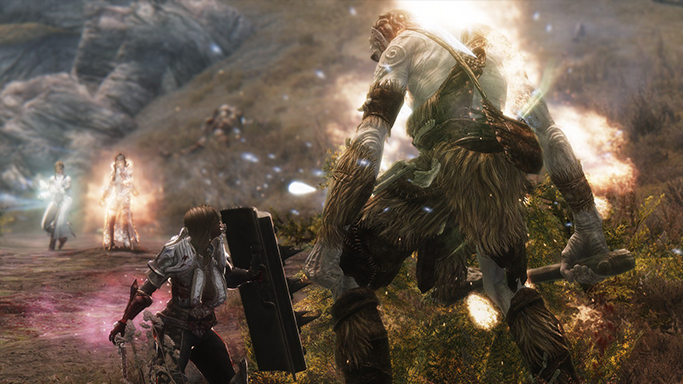 -They can give you bounty quests or common rumors (it depends on the location,PC level, etc). -Night: They will start drinking, if you see them drinking they will not serve you, is time to drink now. But you can still ask them for a room or food. -Late night: They will rest until morning. -The bounty quests and rumors depends on a lot of things, they should work as usual innkeepers but some unique voiced rumors are designed for specific innkeepers, i didnt test it in different parts of the game so feedback is welcome about this. 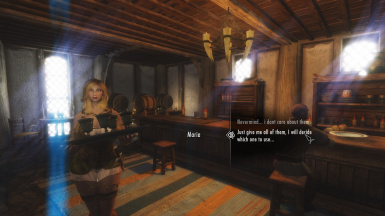 -All barmaids can be turned into followers, some are easier to convince than others, still any will agree to follow you if you pay them 1000 septims. -If a barmaid is recruited as a follower, she will lose the ability to rent rooms, until you tell them "Can i rent a room from you?" This dialogue option will be available when they are at inns, if you are planning to move them around i recommend to leave the rent a room option disable. 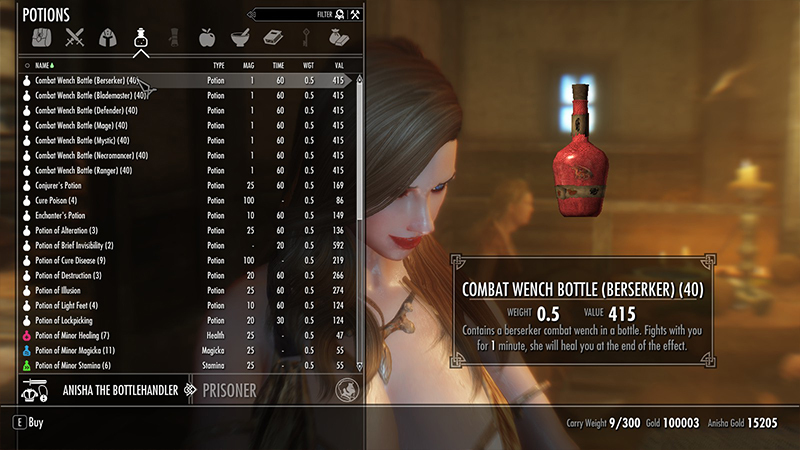 -Adds 5 by default (13 if increased) wenches, they will visit all towns, jarls´ houses/castles, cities and Honningbrew Meadery in different hours/days. -Adds 9 who will stay inside the castles, in big castles like dragonreach they will also carry a tray sometimes. 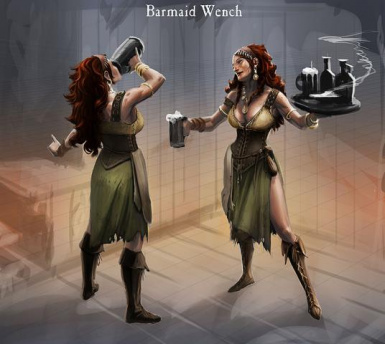 They will wear the barkeep outfit,barkeep variant outfit or the tavern wench outfit randomly at spawn. -They will visit some houses in towns to do the same. -At cities they will walk around and sandbox like any other traveller. Each one of them has a hired bodyguard to protect them. 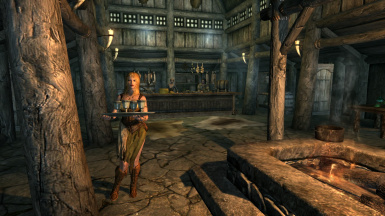 -All maid wenches can be turned into followers, some are easier to convince than others, still any will agree to follow you if you pay them 1000 septims. -If you convince a wench who travels with a merchant, the merchant will also go to where you leave the "main" wench, after you told her to work somewhere else, so you will get a wench+merchant+bodyguard in the same location you leave the wench. -All bodyguards have random appearance,race and are respawnable. -They will stay all day inside their inns, ocassionally playing during the morning and singing/playing during the night. 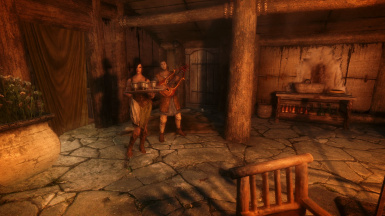 -Bard wenches can be turned into followers and they are the only ones with the mystic healer class, you can convince them to follow you like any other wench or pay them 1000 septims. Constant vampire attacks infected several wenches, some embraced their hunger and desire for innocent blood, others stayed hiding in some cities to help others cover their needs without killing innocent people. Vampire wenches will stay all morning/afternoon inside a building but at night they will go out to sell their "merchandise", they will sell usual alchemy ingredients but if you have enough gold, you can ask them for blood and meat. -They can be converted to followers or spouses like other wenches. -All vampire wenches can be turned into followers, some are easier to convince than others, still any will agree to follow you if you pay them 1000 septims. -You can find most of them near a cementery at night. -You will see a "hello" dialogue option on any wench (except summonable wenches), following the dialogue you can convince a wench to become a potential follower, new dialogue may appear depending on the wench to make it easier to convince her, it also depends on your speech level but in any case you can just pay them 1000 septims and they will agree. After that they will become ally to the player, brave and helpful to work as a follower, then you will see the usual "follow me, i need your help" dialogue. -The "hello" dialogue option will be unavailable for 1 ingame hour, if you fail to convince a wench to follow you. 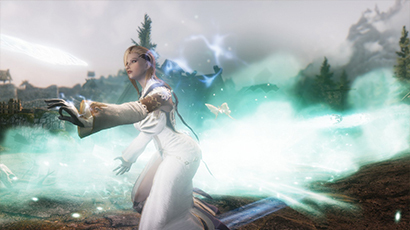 -Its compatible with any follower overhaul since it uses vanilla follower system. -Wenches will be available as spouses after they became your follower, after that it will work as any other marriage partner. -They have custom perks, spells, combat classes and Ai data to be "intelligent enough" to acommodate any situation depending on each class. -They will level with you. 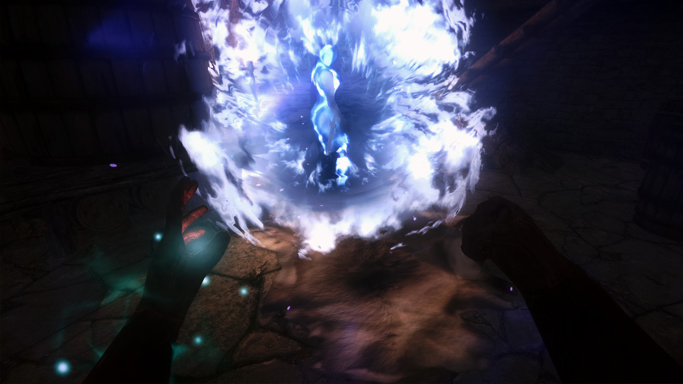 -Their spells/perks are "leveled" so they will get stronger/improved at higher levels. -When they are your current follower you will see a dialogue option "I was thinking..." from here you can tell them to stay in the current cell AFTER YOU SAY "ITS TIME FOR US TO PART WAYS"
-If you want them to return to their original inn, do the same process: make here your current follower, "i was thinking...", say return to inn, then she will return to her original location AFTER YOU SAY "ITS TIME FOR US TO PART WAYS"
-They will sandbox and carry a tray at night. -Since they are your follower at this point you can edit her outfit to your liking and then leave them, i recommend to use a follower overhaul to do that in this case. 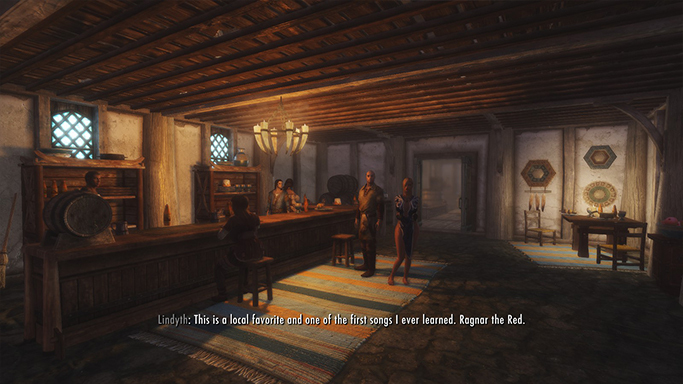 Any Wench will have a dialogue option (toggleable with the MCM) where you can get a special drink and a random summon drink for 100 septims. 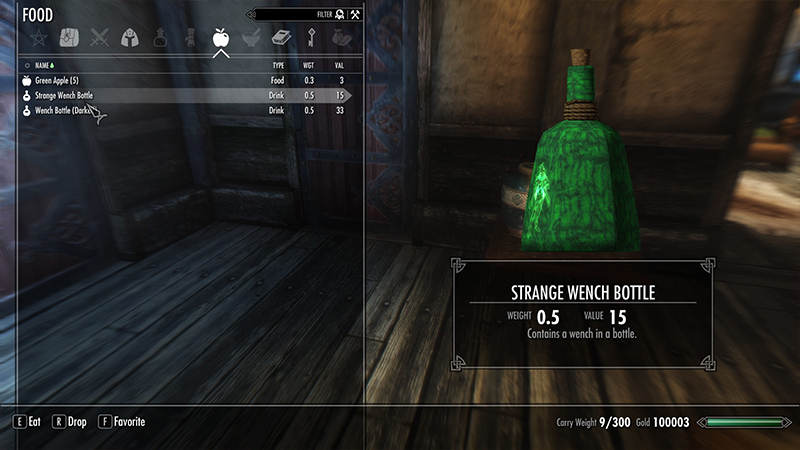 With the "Strange Wench Bottle" you can summon a special wench that can sell you all the summon drinks and all the summon spell books. The summon wench books teach you a spell to summon 1 wench with random appearance and race to a location. There are books/drinks for each race to summmon a random appearance wench of that race. You can also summon merchant wenches, they will have random appearance, and they will sell/buy all kinds of items. This summonable wenches will also have their own ai package but they will stay in the same cell where you summoned them, they will also sell drinks but during all day, and will carry a plate of drinks late night. -This works like a placeatme command so the wench will stay in the same cell where you summoned her until is killed. -Summonable wenches are killable and non-respawnable. 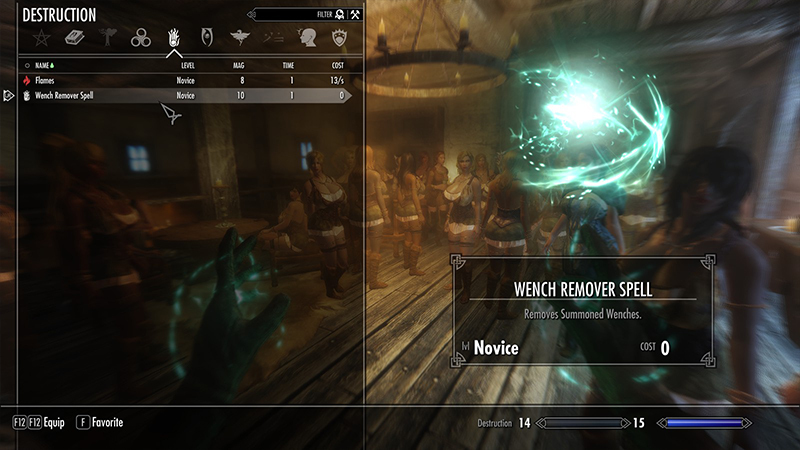 -I added another custom spell to remove summoned wenches, its a safe way to remove them other than using console commands. You can buy other custom drinks to summon combat wenches, they will help you like normal followers but they will last for 1 minute, after that they will heal you and disappear. They will have random appearance. 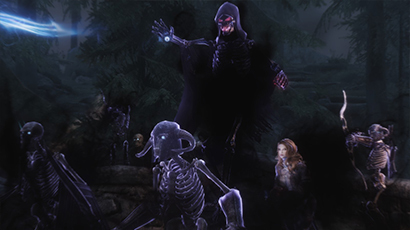 -The number of wenches you can summon is unlimited, if they die or their time runs out their corpses will be deleted/disabled from the game. 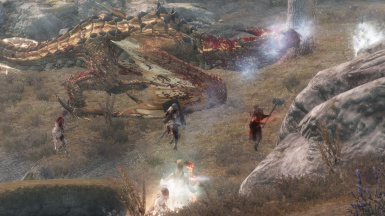 -Rangers,necromancers and mages Combat Wenches will not summon animals/creatures , but mystic Combat Wenches will be able to summon their pets. To install: Just make sure you are installing the correct version you want while using the NMM installer, if you wanna do a manual install just follow the name of the folders. Also wait 2 day ingame after activating the mod. So wenches can go to their respective inns. To uninstall: Be sure to not have the charmed magic effect when you tip a wench or any other "wench bless" magic effect on you, after that use the MCM to stop the quests, then uninstall the mod. Updating to version 1.5.0 from any version requires a "clean" save or a new game. -Save indoors without any wench inside and exit the game. -This should be compatible with everything. 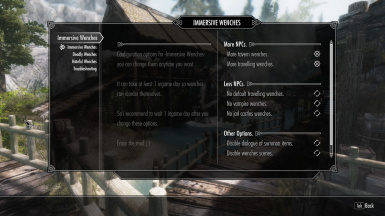 I highly recommend using this with others mods that adds NPCs like interesting NPCs,Inconsequential NPCs, immersive patrols, populated series and others that specially adds npcs to inns. -Immersive Citizens - AI Overhaul . Please use the patches uploaded here.If you are using the Realistic Room Rental -Basic v1.7 version then you dont need its patch. 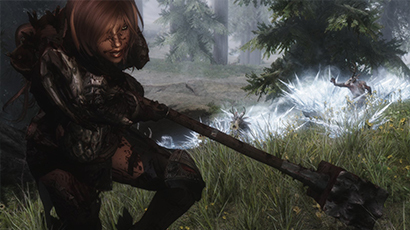 -Add immersive wenches mod to the exception list in the spawn randomizer option of ASIS mod or mods alike. 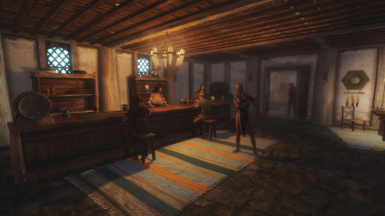 -If you want a Wench in your modded house, new land mod, custom added inn. Please convince them to move there :P, if you need more wenches just use the option to increase the number of wenches, or use the summon wench spell to place one. -Can be placed anywhere in your load order. 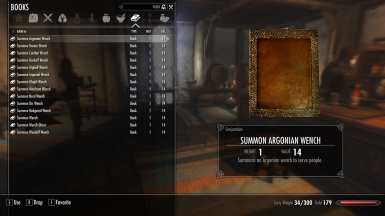 -Recommended to place it before anything that changes inns and near the top of your load order next to other NPC adding mods. 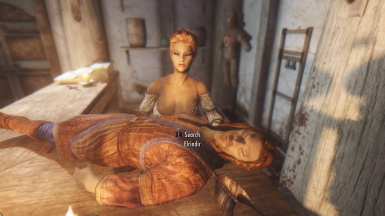 I suggest uninstalling everything related to my mod and then install just the main mod (vanilla hairs), the facegen data for vanilla hairs are inside the .bsa, if you just installed the main file so you shouldnt have this folder or anything in it: "Skyrim/Data/Meshes/actors/Character/FaceGenData/FaceGeom/Immersive Wenches.esp/". After installing the main file check if you have the black face problem. Q: The wenches are missing their feet? Or footwear? Something. It's completely invisible halfway down the shin. A:100% sure its not caused by my mod since I dont change anything about any armor meshes so check your armor/body mods. Q: I use Apachii hair version and some wenches have mistmatch head/body color. A:For some reason that happens in some Skyrim setups and its just specific hairs, be sure to use the lastest versions of Apachii hairs, or try to reinstall them. A fix can be remaking their facegen data (ctrl+f4 in the CK) so it works with your mod setup, other than that i just recommend to switch to other hair version if Apachii is not working for you. Q: I turned the wenches to followers using other mod and they act cowardly, why? A: They are cowardly by default, that happens if you dont use my script that works when you convince them to follow you, try not to use other mods to convert them into followers, the mod already has that option available, using other mods may result in "partial" follower conversion or something like that. Q: I have all the requirements for the mod but still Skyrim crash on startup (CTD) whats going on? A: Most likely you installed one of my patches without noticing, if thats not the case check this: Skyrim Crash on Startup FIX Guide Video- to find the cause. Q: Is this mod compatible with X tavern mod? A: I just added some xmarkers to some inns so if a mod just adds some extra decorations/furnitures it should be alright, the only problem is if they change the ¨structure¨ of an inn (or made it an unique building), that will not make the mod incompatible but some ai behaviors can be odd, like a wench entering an added bathroom while holding the drinks. 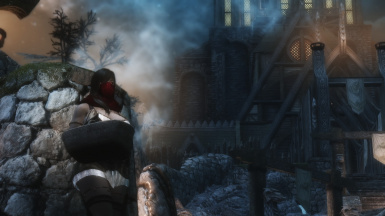 Q: Is this compatible with other mods that add NPCs? A: Yes, this was made to work with those mods and i recommend to use them. A: I really doubt it, i tested it with my own modded skyrim with others 200 mods and several mods that adds NPCs and it is fine. 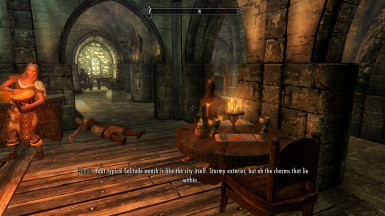 But this can be the drop that spilled the glass, so check your mods please, this is skyrim modding afterall. Q: Argonian wenches dont have the "follow me, I need your help" option even after i asked them to join me. Q: Where are the summon books/drinks? Q: Can you make a version without this/that/those? 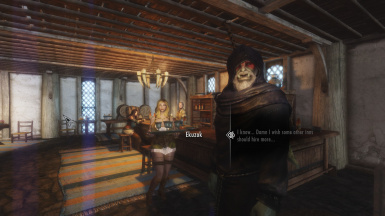 A:I think the current version is fine, just use the MCM if you think a wench shouldnt be in an especific inn for whatever reason by default, leave a comment :D.
Q: When i sit in an inn, wenches dont come to ask what i need. Q: Their bodies are *insert adjetive* can you make a version for *insert body type*? 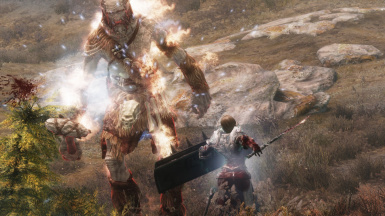 A: They will use whatever body/armor mod you are using, if you use vanilla bodies/armors they will have vanilla bodies/armors, if you use CBBE they will use CBBE, etc. Q: What Bodytype preset are you using in your screenshoots? Q: I tried to edit your mod for "whatever reason" in the CK and now TESVEdit shows a lot of errors and i have the dark face bug... what is going on O.o? -Just dont upload this and say you made it or something. -If you want to share this mod please just link this page. -You are free to make any translation, just send me a pm if you finished so i know and can link it here. For some other things, send me a pm to know please. -Live and let others live.